Want to create more in less time? Streamline your app creation workflow with the Xamarin cross-platform development tool-we've got six courses that'll teach you everything you need to know for $35 at Escapist Deals. Watch the job offers pour in when you add Xamarin to your resume-that's because hiring managers know that a programmer with Xamarin experience can build more with less code. You'll learn how to create apps compatible with both iOS and Android, so you can increase your app's presence and bring in more money. This course bundle will start you off on the basics, teaching you how to make simple and complex apps alike as you learn the ins and outs of the tool. 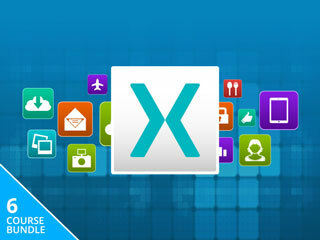 Master Xamarin with a six-course training bundle for just $35 at Escapist Deals.